"We are the Explorers," an Indiegogo campaign that aims to create a 30-second trailer about the US Space Program, reached its crowdfunding goal of $33,000 this morning, justfive days after launching. Created by the Aerospace Industries Association (AIA) of America, the campaign was inspired by a nearly three-minute video that NASA released last year. 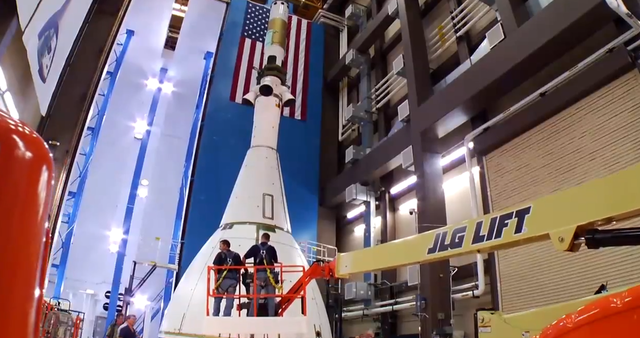 The clip, embedded below, gives a brief overview of NASA's history and its latest developments in spacecraft technology, but federal law prohibits the agency from purchasing advertising time to air it. That will soon change, though, now that AIA — an aerospace trade group not affiliated with NASA — has reached its goal. The organization plans to convert NASA's film into a 30-second trailer that will run in theaters across major US markets, beginning with the premiere of Star Trek: Into Darkness on May 17th. On its campaign page, AIA said it hopes the trailer will educate young viewers about the value of a robust space program, at a time when government spending cuts are threatening to weaken it. "This is more than a fundraiser, the organization said. "It's a demonstration of support for space exploration programs." AIA also hopes the ad buy will inspire today's students to pursue careers in science and space exploration, by reminding them of NASA's illustrious history as a leader in innovation. "By backing this 30 second trailer in the top movie theater markets around the United States, you can show our students and young people that we're in an exciting new era of space exploration," AIA said. "Now is the time to reach them — to remind them that an inspiring space program awaits, one that is worthy of their ambition."